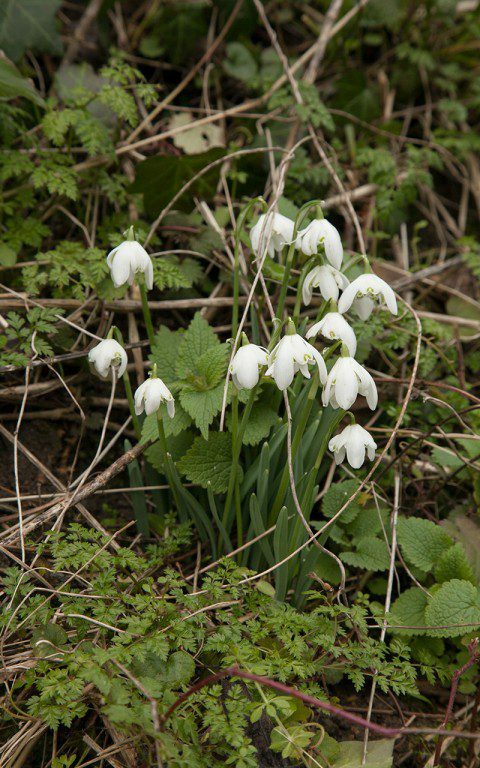 The Snowdrop Trail – Dig Delve – An online magazine about gardens, landscape, growing & making. 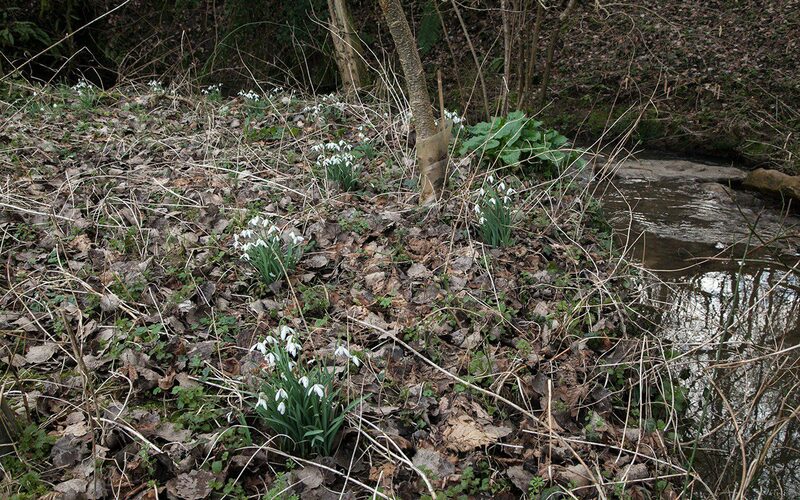 The snowdrops have been slow this year, although they showed their armoured leaf tips as usual in the middle of January. The dark and hardened nib, the first part that you see pushing through the leaf mould, is specifically designed to spear the frozen ground. In the last few winters their advance from the point of first showing to whiteness was uninterrupted, but the freeze, or the regularity of it this year, has kept them in check and me on tenterhooks. 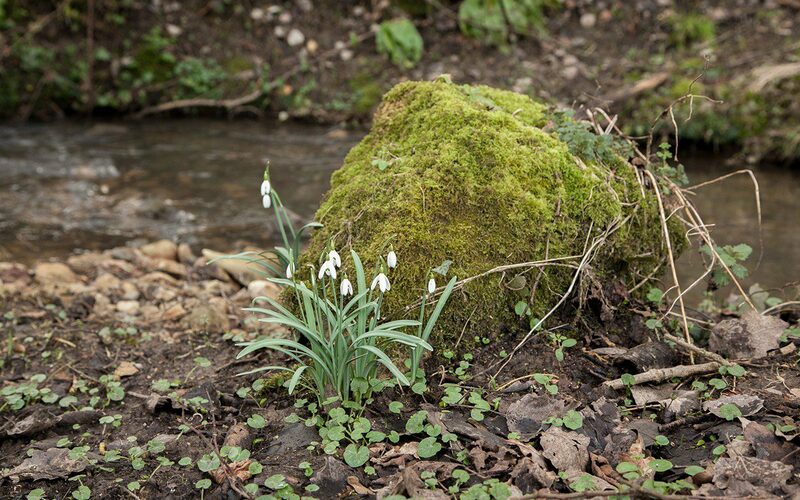 The heightened anticipation that you feel in the winter depends upon such movement and, without fail, the snowdrops will have me on my hands and knees, rummaging for their new life. 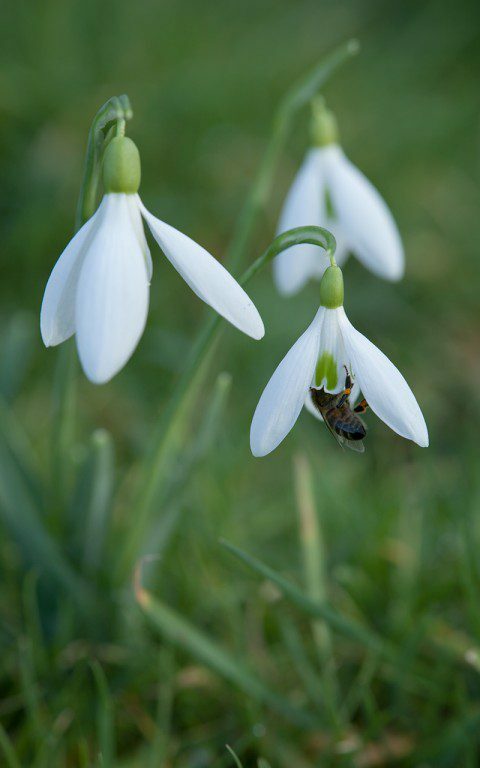 Although I like the winter and do not want to rush this roomy season, the galanthus are important for their precociousness which, like a flare going off, announces with pristine surety that there is now a tilt towards growth. 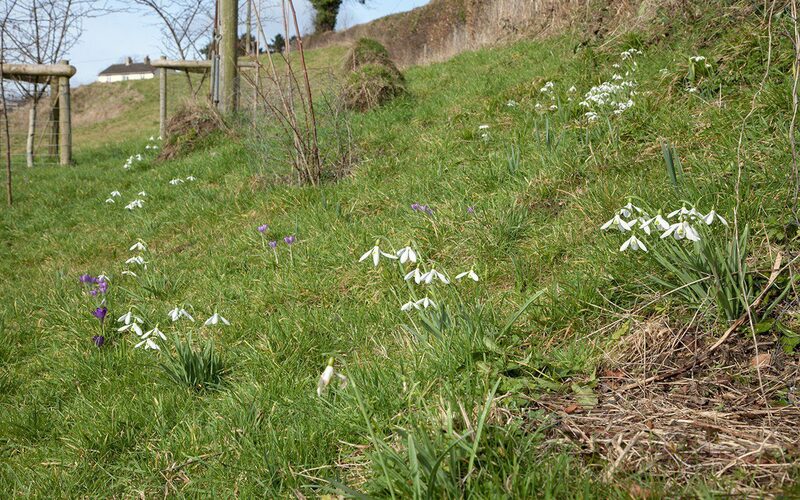 When we arrived here six winters ago, we were delighted to see the old, established plantings of singles and doubles in the hedge banks along the lane. 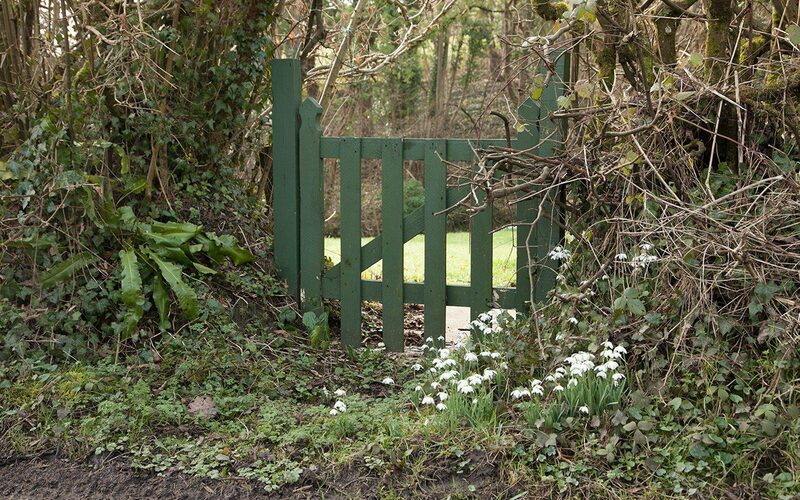 Associated with houses or by field gates and clearly planted many years before, some of these had colonised freely, and were a spur to take the baton from those earlier snowdrop planters and add to their presence in the valley. I have since been working to extend their positive influence with a trail that will weave ribbons throughout the land. 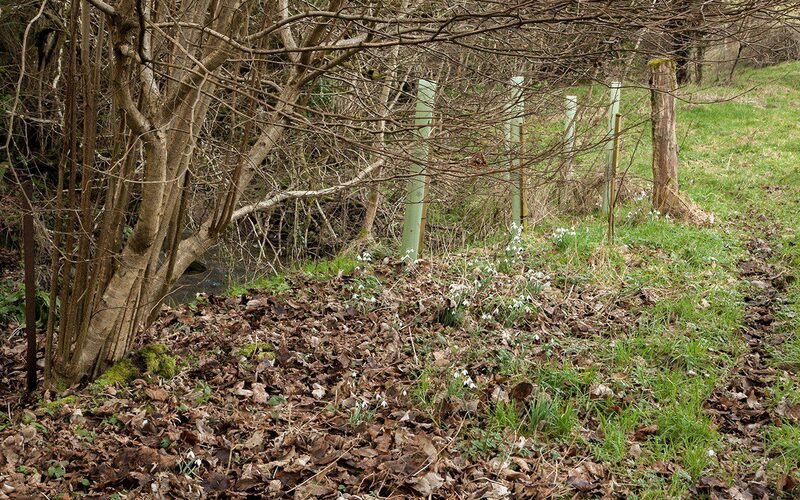 It started with a few clumps from our neighbour across the stream, which were divided in-the-green and added to the banks beneath the hedges on either side of the lane (main picture and front cover). 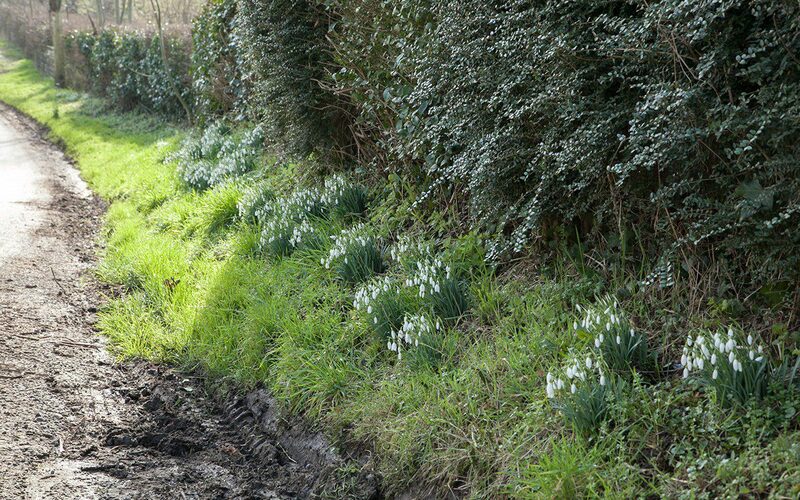 Each year the ribbon has been added to, thirty or fifty metres at a time and, as the idea has begun to show itself in a rivulet of welcome flower, other neighbours have contributed by gifting me a clump or two from their gardens or starting their own lane plantings. 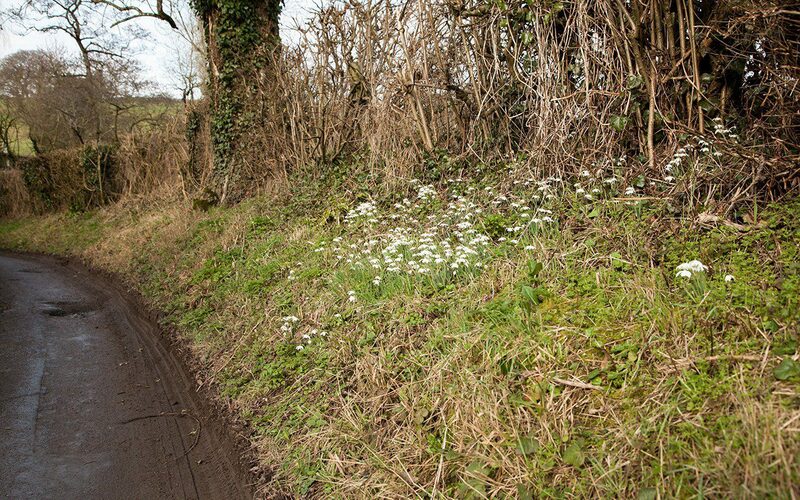 The ribbon jumps from one side of the lane to the other, where the banks suggest a suitable colony, which is far nicer than a continuous line. In tandem with the trail along the lane, I’ve also started a strand which runs in the damp, shaded ground beside the stream. 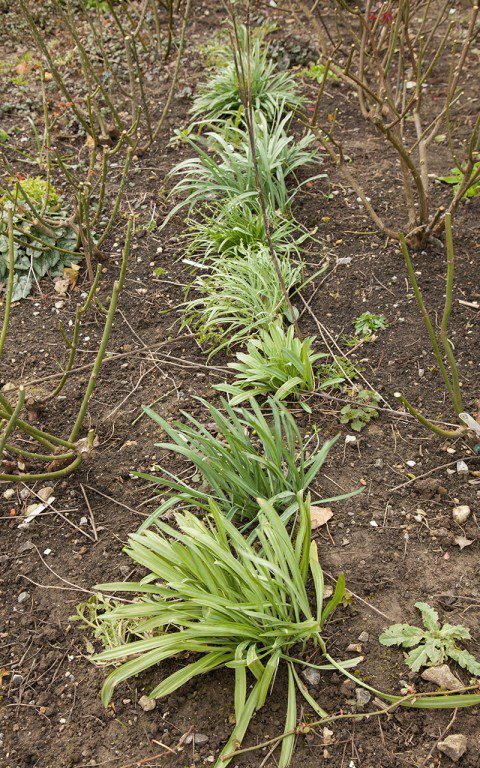 It is a long stretch and it stops and starts in sections that mark a weekend’s work, the point at which I ran out of bulbs or the exhaustion of that year’s allocation of snowdrop planting energy. 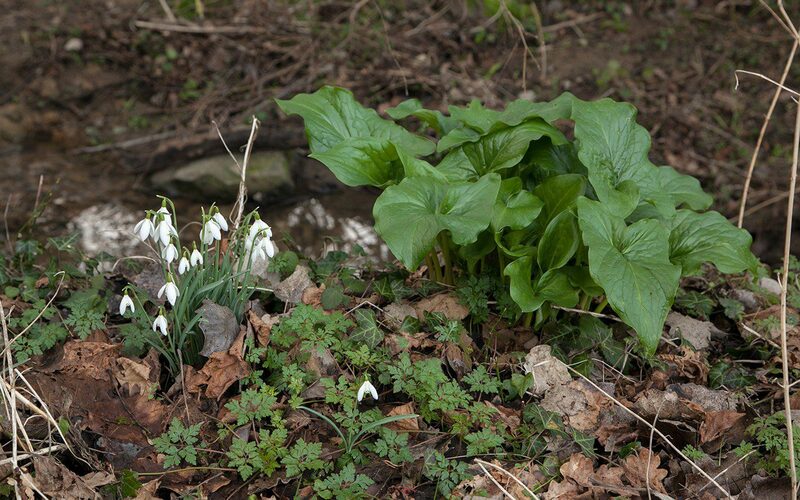 The Galanthus nivalis bulbs for the stream section of the meander have been purchased in-the-green from a mail order supplier that grows the bulbs commercially. This is important, because there is a trade in illegally lifted bulbs, and so I like to know where they have come from. I have learned to get my timing right. Order too early and they arrive too small and are difficult to handle. 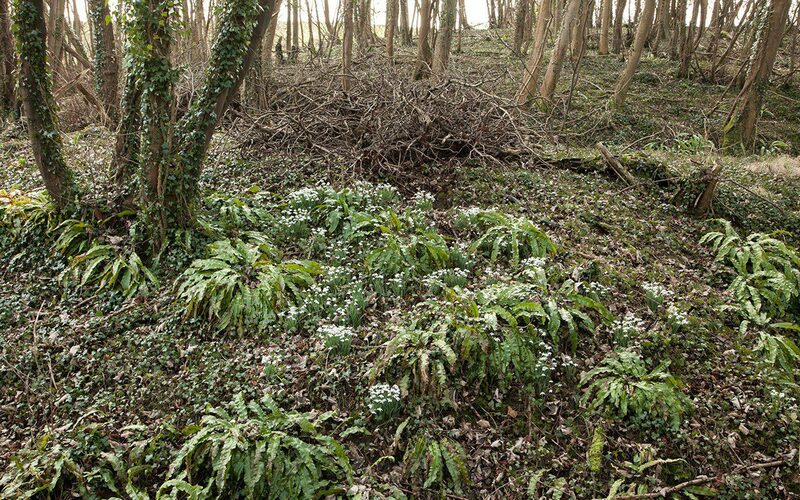 Wait until the flowers are over and the foliage is long enough and the clumps are more easily divided. A clutch of five to ten bulbs in a slot opened with a trowel is all that is required. If it is a bright March day, they will be watered in to help them take a grip, for the leaves will have a good month to six weeks of photosynthesising to help them establish in their new ground before retreating into dormancy again. There is debate about the suitability of transplanting in-the-green. 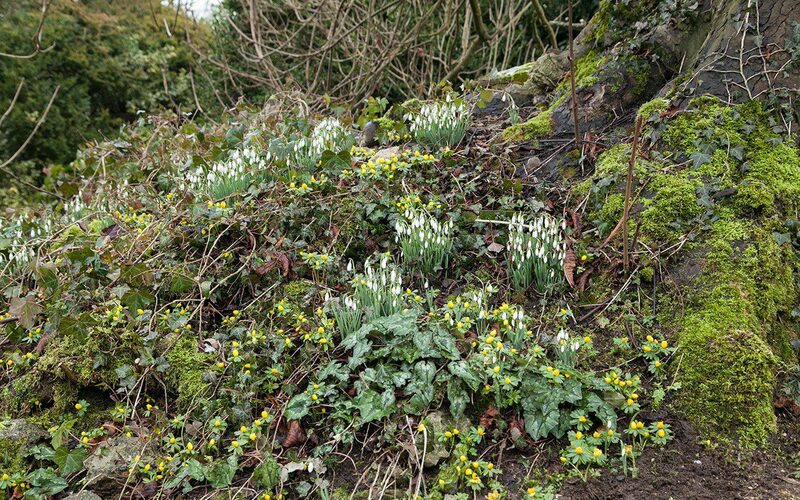 Some experts think that dry bulbs are better, planted in the autumn when they are dormant. Others believe that the bulbs are more viable when hydrated and that the risk of transporting them dry can contribute to failure. 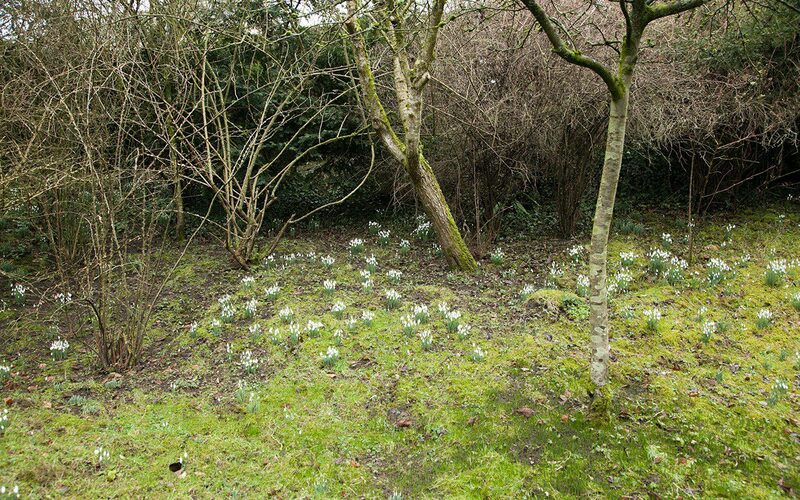 Having tried both methods, I prefer moving the bulbs when they are growing, not least because you can see how many you are planting and it is a good feeling to populate an area when the garden is deep in slumber and you can see exactly where you need to have new life. 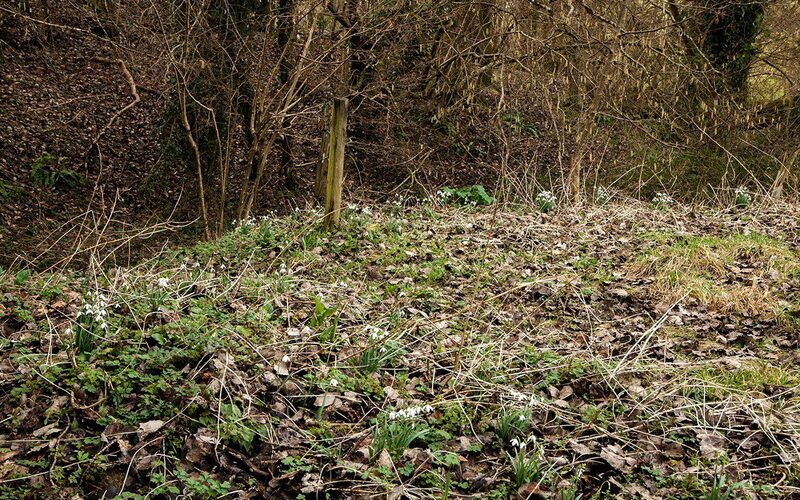 By default my ribbon is a patchwork affair, and I have quickly found that snowdrops from different locations have quite different habits; a run donated by one neighbour might be earlier to flower than those from another, another might be shyer to flower or be showier when put alongside one that you had previously thought a goodun. This variability is one of the glories of the tribe and the primary reason Galanthophiles are such connoisseurs of the genus. I do not have a collector’s leaning and like to be able to spot the difference whilst still standing and from a number of paces. 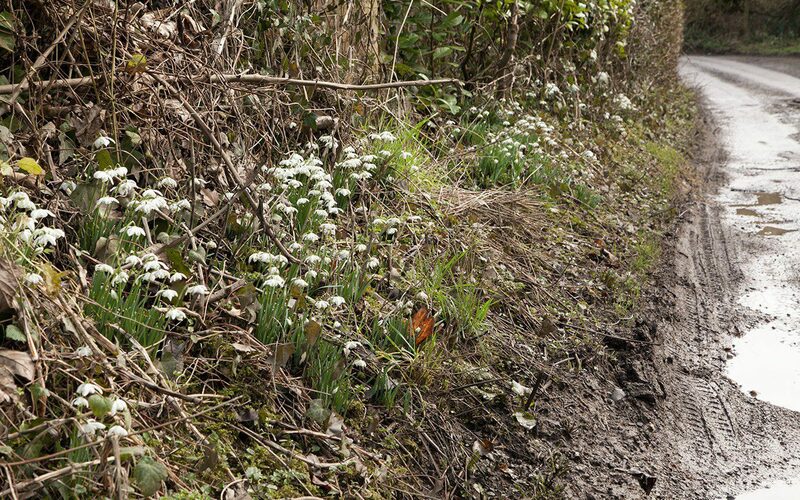 But I do run to having a select number of favourites with marked differences that set them apart; something that makes them particular, such as being especially early, or late, or with dancing flowers on extra-long pedicels as G. ‘Magnet’ does. 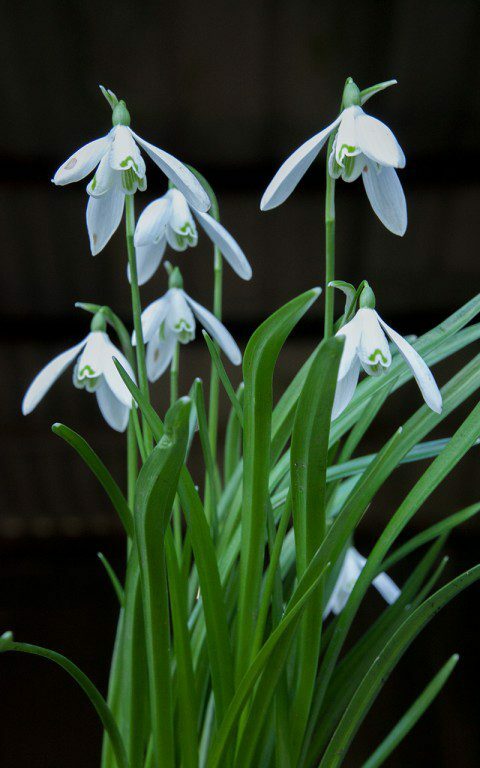 As my interest in the best of the snowdrops has grown, I have slowly been putting together a little collection for the garden. 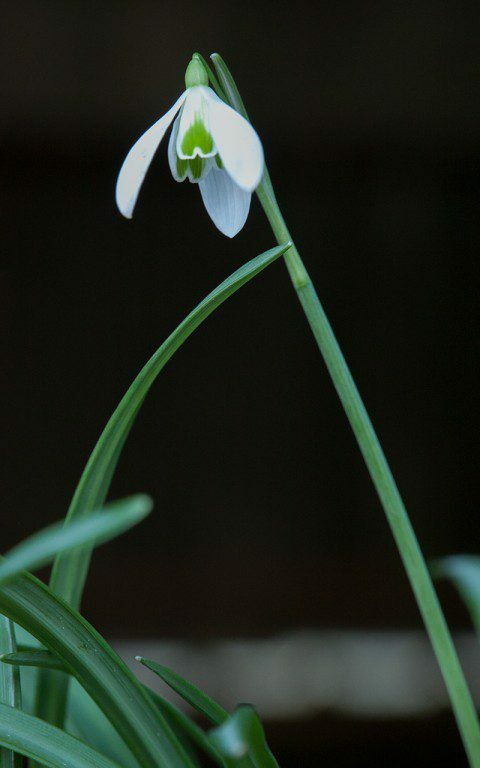 Galanthus reginae-olgae is the first to flower in December. It grows high up in Greek platanus woodland, so likes a position which drains well after winter wet. I have put it in the bed up by the house for a Christmas welcome. 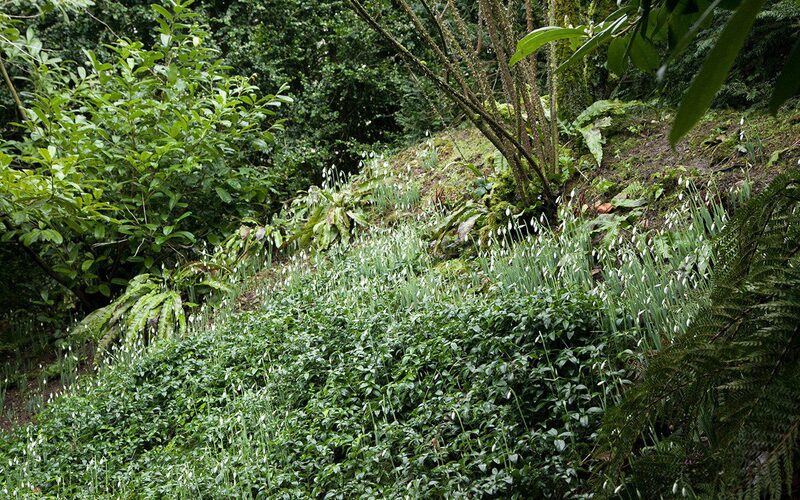 Galanthus atkinsii is a good strong variety for growing in turf and one that bulks up readily. I have it growing on the banks behind the house. 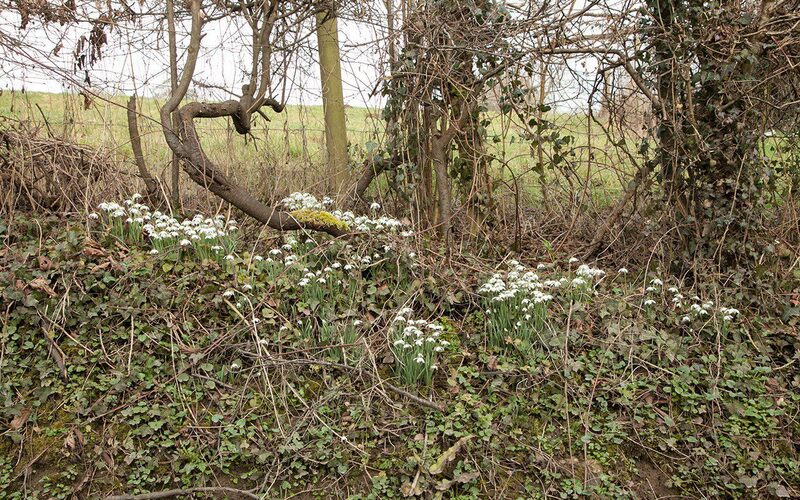 It has long pendulous bells and a showy habit so it draws you from a distance. Both were a gift from Fergus Garrett at Great Dixter, dug in full flower, happily transplanted and now multiplying. 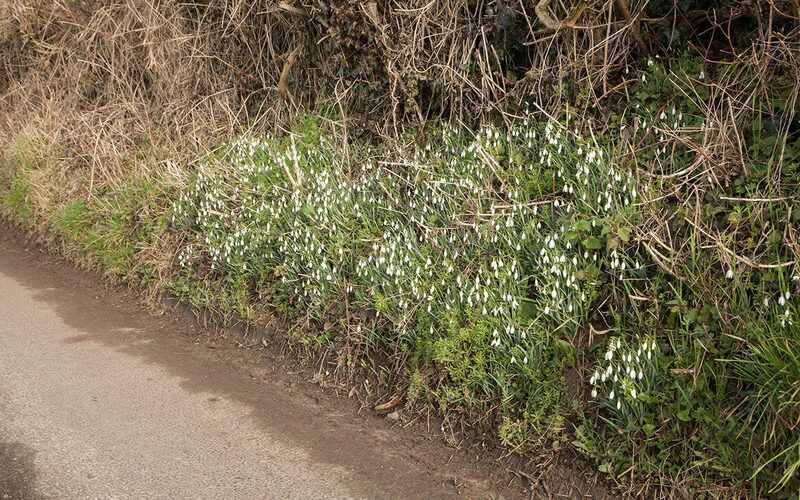 Mary Keen, who has a very fine and well-chosen collection, asked me to one of her snowdrop lunches recently and gave me nearly a dozen varieties after a February walk-round in her garden. 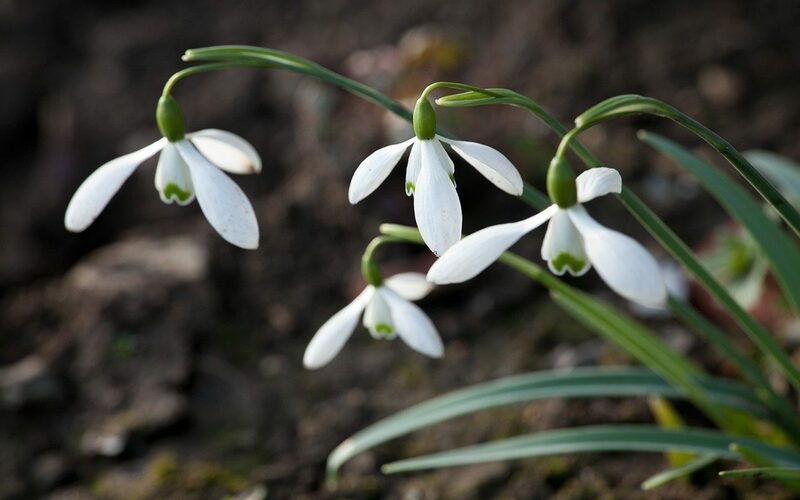 “Take Galanthus gracilis,” she said, “it’s a good seeder and will cross easily with the others, so you may get an interesting seedling one day.” She also gave me ‘Mrs. MacNamara’, “One of the best earlies. 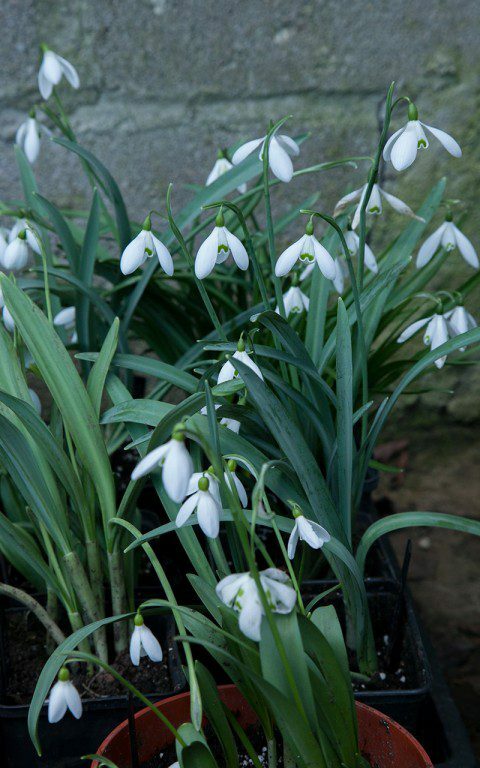 Out and in flower in January.” Strappy grey leaves, wider than usual, gave away the Galanthus elwesii parentage but, even as a galanthus novice, I could see the extra-special something. Walking her garden on a cold February day was the best way to see the differences between the plants and her shared experience the best way to learn the tried and tested favourites. The green-leaved G. ‘Anglesey Abbey’ for instance, with a mood all of it’s own. I have paired it with my yellow hellebores to enjoy the vivid foliage. Now that the garden is ready to plant I am carefully finding these treasures the best homes I can so that one day, when I have divided and re-divided them, I can afford to be equally generous.